AMMONNEWS - The Ministry of Municipality and Environment said the results of the lab tests of the Jordanian watermelon samples, which were taken on May 10 from a commercial complex, proved that they are in conformity with standards and specifications and they are safe for human consumption. 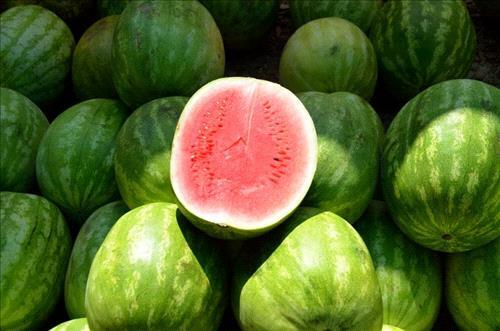 The Ministry's competent authorities, within its keenness on health and safety of foodstuffs, took samples of Jordanian watermelons after a video clip on social media sites in which a customer uses an electronic device to measure watermelon contamination. Following this, samples of Jordanian watermelon were sent to the central laboratory to ascertain their conformity with standards and specifications and ensure that they are fit for human consumption. On this occasion, the Ministry of Municipality and Environment called on all consumers to resort to the competent municipal authorities when they have any inquiries or complaints about the safety of foodstuffs, and not take information from unreliable sources.